Cara is a former nurse now turned medical student. She is the first year representative on the University of New England Medical Student Association. Technology is always presenting us with new ways of going about our daily lives, and our inability to be separated from our mobile phone, internet or online social networking is growing. Some technology has become obsolete and fallen into obscurity, while some has never caught on. One that definitely has, though, is Apple’s iPhone. As medical students, smartphones have the potential to revolutionise our education and training, and one heavy contributor to this is Apple’s growing library of medical ‘apps’ (applications made specifically for iPhones). ‘Medical’ is a headline category on the iPhone App Store, right next to Utilities, Lifestyle and Games. It is even separate from Healthcare and Fitness – something a good chain bookstore is yet to figure out. Entering this category brings up a multitude of free and paid apps that will be of interest to practicing physicians, medical students or other health care professionals. Finding an app to suit one’s needs is made even easier by using one of several online app directories. Apps can do everything from looking up reference values, differentiating between types of arrhythmias to performing useful calculations. While this article cannot hope to delve very far into the thousands of medical apps available, what follows is an overview of some of the most popular ones, which may prove useful for the uninitiated. The app ABG, or Arterial Blood Gas, can help in the sometimes complicated world of blood gases; simply type in lab values to determine if an acidosis is respiratory or metabolic in nature. Instant ECG (electrocardiogram) displays rhythm strips of many common arrhythmias to study and then provides a quiz to consolidate learning. General Medical History categorically runs through all the questions one should ask to take a medical history. 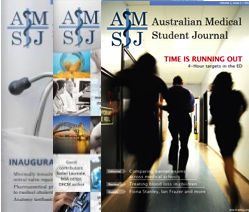 It is very comprehensive, and could be particularly useful for junior medical students who are still becoming familiar with the basics of history-taking. However, pulling out an iPhone in front of a patient, let alone a clinical supervisor, will no doubt fail to convey the best impression. Some of the big names in textbooks have already made their way to the iPhone platform. The Netter’s series of texts is available, including very handy anatomy flashcards. These are an ideal way to brush up on anatomical identification skills while commuting or waiting around. However, some may find that the size of the screen does not do justice to Netter’s famous illustrations. The Merck Manual of Diagnosis and Therapy is a guide on the essentials of diagnosis and treatment. Taber’s Medical Dictionary is perfect for a mental block on what Klippel-Trenaunay-Weber Syndrome actually is. The original Gray’s Anatomy is right amongst the lineup in all its pencil-rendered beauty. However, while it does have a search function, it does not have a table of contents, which is a major oversight. Medscape, Epocrates and Skyscape are bundled apps which include medical calculators and continually updated drug and clinical references – a veritable all-in-one reference for clinicians on the go. 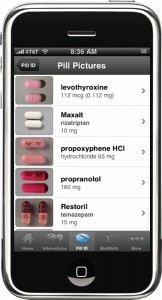 Epocrates even has a drug identification tool to allow you to identify a patient’s pills. The Australian-specific content is also increasing. Frank Shann’s Drug Doses promises to end the suffering of those who need a little reminder just how many mg/kg of fentanyl to give a child. Likewise, MIMS Australia now has their product available for the platform, allowing healthcare professionals to look up entire product information. Most of the calculator programs such as MedCalc have the ability to change units, allowing the user to easily modify the program to suit the needs of an Australian medico. One of the drawbacks is that some apps are just not in an affordable price range for many students (Table 1). Netter’s Anatomy Flashcards is priced at $47.99, MIMS is an explosive $170, and some, such as Frank Shann’s Drug Doses at $23.99, are over double the price of the hardcopy version. However, some of the helpful ones are free, such as Medscape and Skyscape, and there are always useful medical apps on sale. Epocrates has several tiers of its product. The basic version is free, and includes features such as a drug interaction checker and pill identifier. However, to obtain features such as disease images and a medical dictionary, a subscription is required, ranging from US$99 to US$199 depending on the features required.